H.Bloom is launching a contest called "Give Love That Lasts" that is live on Facebook. 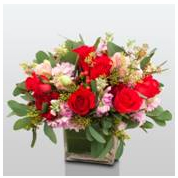 H.Bloom believes in celebrating your loved ones all year long. Four couples will win a yearlong luxury flower subscription from H.Bloom delivered every other week to help celebrate their love all year round. Nominations close at noon on February 14th EST.